It’s the heart of spring here in Breckenridge and that means the home buying season has arrived. If you’re considering whether or not to put your home on the market soon, I’d like to offer some important tips for the process of prepping to sell. There are certain things you should accomplish before you’re ready to sell. Think of this blog as a checklist and feel free to refer back as needed. When you’re on the road to selling, you want to make sure your Breckenridge home is in the most presentable shape before potential buyers walk through. After living in a place for a while, it’s easy to accumulate stuff. However, when it comes time to sell, a home full of too many things can overwhelm possible buyers. For this reason, uncluttering is extremely important before any showings. The best approach is to go through each room and throw out any broken items and things that aren’t working. If you have belongings that are in good condition, but you no longer need them, consider giving these possessions to a charity, or putting them in storage until the house sells. After all, you’re hoping to pack everything up at some point, so think of this first step as a head start. 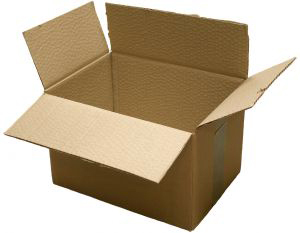 Items that can be packed away. It’s crucial that you make your home feel as large and roomy as possible for people who are considering this purchase. That’s why packing up and making your place appear extremely neat matters so much. You may have beautiful photographs and a lovely collection of candles that you’re proud to display, but these items could become obstacles during showings. While they may reflect your style, studies show that interested homebuyers like to imagine their own belongings in each home they tour. Making your home impersonal may feel odd, but your home will not only feel larger, it will allow people to visualize the potential right before their eyes. When I say you need to clean before any showings, I’m not talking a light sprucing up. I mean a deep clean. That translates to scrubbing down your home and making sure it shines. The fact is that serious buyers want your home to be sparkling inside and out. The areas they really notice include sinks, bathtubs, marks on the wall and dirty floors. I find the best approach is to perform an extensive cleaning for the first showing and then continue to clean on a weekly basis. Even though you may live in the property you’re trying to sell, you still need to maintain the cleanliness so that you’re prepared for the next showing. Finally, you should always clean right before each showing. Don’t depend on the fact that you may have cleaned the day before. Take the time to freshen up your home again so that the possible buyers step into a newly cleaned home. Making your home ready for showings is no simple task. There are a lot of essential steps involved. If you’d like to find out more about staging and the home selling process to make sure your Breckenridge home stands out from the competition, I’m happy to set up a time to chat. Just give me a call. Also, if you want to find a Breckenridge property to call your own, I’m glad to put together some properties that might suit your needs. You’re welcome to browse through the updated listings on my website any time as well, and when you’re ready to talk through your options or schedule showings, contact me at any time via email ([email protected]) or on my office line. I look forward to working with you!